Custom louvers are a great way to help protect commercial HVAC systems but there are other elements of HVAC maintenance. When it comes to your commercial HVAC System, it’s important to understand the basics. Hopefully, you never have to deal with issues with your HVAC, but if it does, it will be useful to have some knowledge of the basic components. While you will likely still need to call in the professionals this will help you see who needs to be called and how quickly. 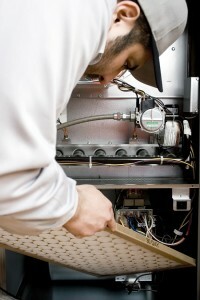 Your furnace is the heating system of your HVAC. Both residential and commercial buildings will have furnaces but for commercial buildings, the furnace will be much more powerful. The furnace uses energy to heat up the air before moving it throughout your building. All of this is activated by the pilot light. When you alter the temperature the pilot light will turn on, setting off the burners. The heat created by these burners is then blown through a heat exchanger before it is moved throughout the building by a blower motor. This process will continue until the desired temperature has been reached at which point the system will shut off. If you have an electric furnace it functions a little differently, electricity passes through the heating elements to start rather than using a pilot light. These heating units are attached to resistance coils which lead to blower motors. The cooling component of your HVAC system is more simply called the air conditioning unit. In most businesses, this is essential to the safety and well-being of your employees and equipment, especially if you work in an industry with items that are heat sensitive. There are four main aspects to an air conditioner, the condenser, the compressor, the evaporator, and the expansion device. Both the heating and cooling are pumped through the building with help from the heat pump. Your heat pump will need either a water source, ground source, or air source to work correctly. To learn more about your protecting your HVAC system, and installing louvers, the professionals at Hercules Custom Louvers are ready to help. For more information and to learn how we can meet your custom louver needs, contact Hercules Custom Iron online or giving us a call at 1-800-331-2590. We will ensure your investment serves your family for years to come! For updates and to see projects we’re working on, visit us on Facebook, Twitter, LinkedIn, YouTube, Google+, and Pinterest. This entry was posted on Friday, April 27th, 2018	at 9:00 am	. You can follow any responses to this entry through the RSS 2.0 feed. Both comments and pings are currently closed.